Athletes seek “the thrill.” Let’s face it: we’re all adrenaline junkies. From the last-second win to our obsession with combining frighteningly dangerous sports (volcano boarding, anyone? ), we’ll do whatever we can to get our hearts pumping. In honor of the spookiest month of the year, we’ve handpicked trails and locations from around the world that would test the nerves of even the bravest Wahooligan. So grab your TICKR to track that heart rate — and maybe a handkerchief for your impending sweaty brow — and check out our list of the some of most thrilling trails and events this world has to offer. You can see Long Peaks from several places in Colorado, so it’s a coveted peak to climb for many adventurers. But sometimes, the scariest monsters are the ones you have to face everyday. What Makes it Thrilling: Intense elevation gain. It’s a beautiful climb that can be accomplished in a day — if you can make it there and back without fainting from altitude sickness, slipping on jagged rocks, or falling 100 feet to your demise on the Keyhole route. 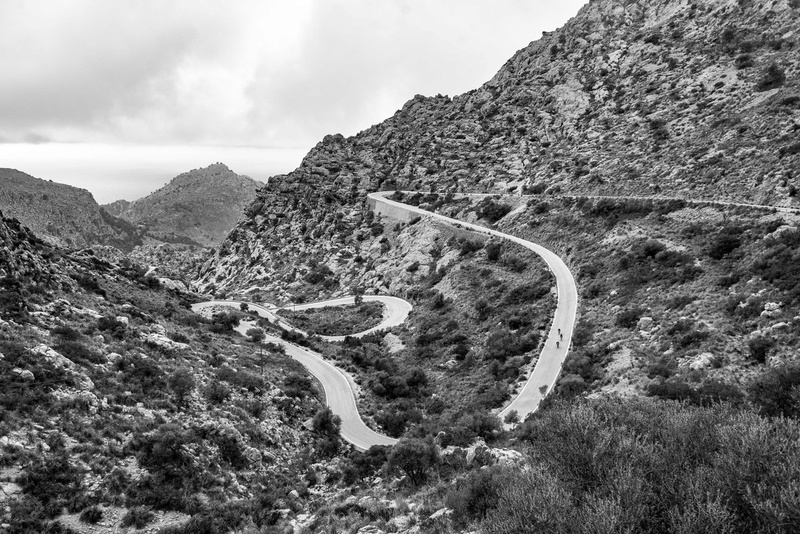 It’s got 5000 feet of elevation gain and nearly 15 miles to push your altitude tolerance to its limits. For the brave and sightseeing, the Maze District offers stunningly untouched views of rock spires and slot canyons. However, don’t expect to find rangers, cell service, or even a noticeable water source along the way. What Makes it Thrilling: Desolation. In the Maze District of the Canonyands National Park, you’ll be alone. It’s rugged, remote, and completely void of rain and most other forms of life. It’s a trail you must prepare for accordingly as you will only have your gear and thoughts to keep you company in this cavernous labyrinth. Barkley Marathon is a hellacious race that “eats its young.” Photo via Esquire. Deep in the Tennessee Mountains was the Brushy Mountain State Penitentiary which housed James Earl Ray, the notorious killer of Martin Luther King, Jr. One fateful night, Ray escaped — but only to be found 54 hours later only 8 miles from the prison. He was shivering, hallowed, and broken. What kept him from making a clean break? The unrelenting grasp of Mother Nature and her elements. The Barkley Marathon is a homage to that fateful event. What Makes it Thrilling: Brutal elements. This 100-mile course must be completed in under 60 hours. Since it’s inception in 1986, this course has only ever had 14 finishers, which should tell you a lot about its terrain. So what forces competitors to consistently fail? Well, there’s no GPS signal. The weather can sway from blistering hot to flooding and snowing at any time. The 1500-foot climb on one of the mountains is through briars and crumbling landscapes. There’s no lights. The fog is heavy. You have to rip pages out of books hidden deep in the woods to prove you hit checkpoints. We could go on, but by now you’re either intrigued or petrified by this kind of torture-for-entertainment. And luckily, there’s a documentary on it, if you’d rather just watch the movie. In Arizona, there lies a thin white stripe on the edge of a cliff that, should you slip just slightly, will plummet you hundreds of feet to your doom. Are your palms sweaty yet? A hauntingly dense place to hike. Photo via Jordy Meow. This ominous forest near the northwestern flank of Mount Fuji is covered in a deep green hue due to heavy moss and tree cover. A place of legend and mystery, it’s a snarl of woods and caves that have been the unfortunate setting for many suicides. What Makes it Thrilling: Disorientation. 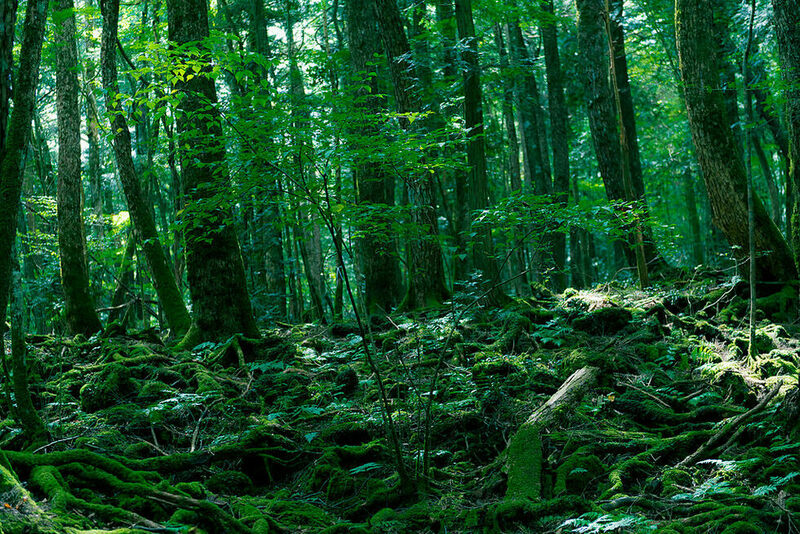 Not everyone believes in ghosts or ghouls, but the fact remains that Aokigahara Forest holds an intense weight when you hike through its trees. Its reputation as a haunted place is only strengthened by the myriad of American movies made about its paranormal activity. Consider a guide to help you through this place — it’s very easy to get lost. This trail is a life-changing experience for many hikers and naturists. You’ll discover hidden caves amongst towering trees. It’s home to playful whales and pristine beaches. But its beauty is matched with an equal measure of danger. What Makes it Thrilling: Hazards. Expect to encounter cougars, snakes, wolves, and bears; Hypothermia brought on by heavy rains; Sudden crumbling terrain; High tides. There are as many ways to get hurt on this trail as there are things that will astound and inspire you. Tread lightly. It’s one of the most toured natural landscapes in the world (and understandably so); its angled cliffs meet the Atlantic Ocean in a swirl of green, charcoal, and blue. But, due to the sheer height, it is also one of the most deadly. What Makes It Thrilling: Height/wind. Many people simply hike these cliffs, but a brave few actually bike along its narrow edges. It is not recommended — in fact, it’s been given the title of “The Most Dangerous Bike Trail on Earth.” Every year, these cliffs claim the lives of many unfortunate adventurers through sudden high winds or slips. Be heavily advised: it’s 700 feet to the rocky waters below, which produces a scary amount of time to consider what went wrong. 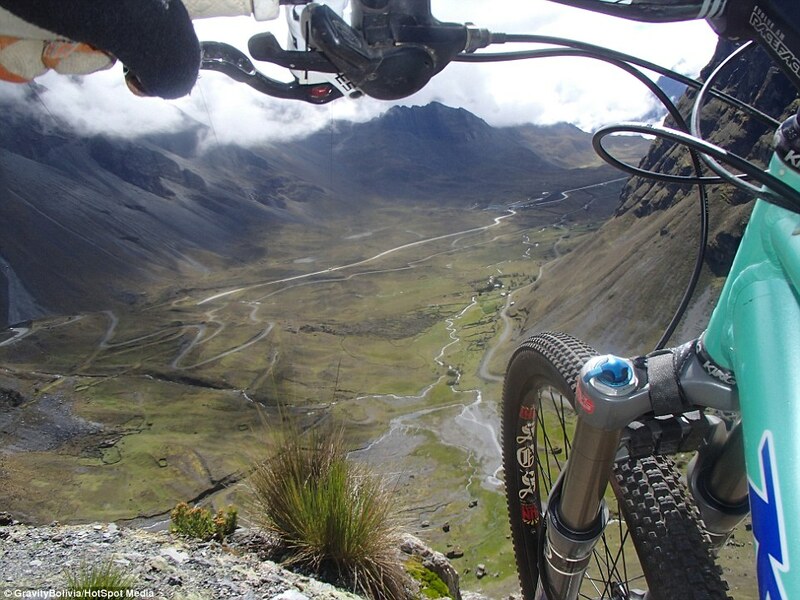 “El Camino de la Muerte” is an impossible task if you’re afraid of heights. Photo via DailyMail.co.uk. What Makes it Thrilling: Lack of control. Most of the route is also on unpaved gravel, so if you’ve ever tried to slam on your brakes (even at a slight descent) while the earth slips out from under your tires, you’ll know how anxious that makes you feel. Oh — and you have to ride it all downhill at blazing speeds with 2000 foot drops on either side. In short, The Enduroman Ultra is a 300-mile continuous triathlon. This is, arguably, the world’s most extreme triathlon event. What Makes it Thrilling: Maximum endurance. The 300-mile course speaks for itself, but the real intensity is in the details. It starts with an 87 mile run from London’s Marble Arch to Dover. After the run, competitions must swim across the English Channel to France in freezing cold waters. If that hasn’t pushed you to the brim, it ends with a 181-mile bike ride in Paris. Brutal. This race is not for the casual athlete for even an intermediate competitor. To attempt this race, you must be first cleared for racing as an Enduroman. Once accepted, you’re put in contact with Race Director Edgar Ette and his team to monitor your training and prepare you for the event. It’s a life-changing sporting challenge that earns you the rightful title as of one of the world’s most-determined and in-shape athletes. So what do you think: are these thrilling enough for you? What would you add to this list? Grab a TICKR to keep that heart-rate pumping, and let us know what you think in the comments, or on our Facebook, Twitter, and Instagram.